I don't really know where to start but my name is Abi and I am from the UK, and I have an interest in all animals no matter how big and small! I also went to college for 4 years studying animal care, so I have experience with all kinds of animals including: reptiles, amphibians, small animals, farm animals, birds and dogs & cats! I am currently a proud owner of 3 male rats and soon to be a first time reptile owner! I will be acquiring a female crested gecko next Saturday! Attached are some pictures of her, I currently do not have a name for her so if anybody has any suggestions you're welcome to leave them below! 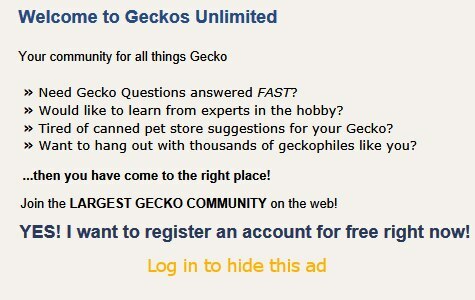 Welcome to Geckos Unlimited, Abi! It looks like you've already chosen your new pet crested gecko. Congrats on your new family member! I hate trying to name other people's pets, but I'll throw out "Dottie" as my first thought. Thank you very much! I've been waiting quite a long time to get a crestie, and I'm just so happy that I'll finally have one! It's hard picking names to be honest, trying to find one that clicks and fits perfectly is a challenge!